March back into Robot Season with Sumo Robots! Spring into Sumo Robots and get ready to compete! Welcome Back All Robot Enthusiasts! Fall Season for Sumo Robot League! How about Robots for Camp this summer? Order robots by April 1st for June 1st delivery. Just in time for Summer Camp! The skills gap is real, folks. Only 16 percent of American high school seniors are proficient in mathematics and interested in a STEM career. Only 30 percent of high school seniors who took the ACT test were cleared for college-level sciences. 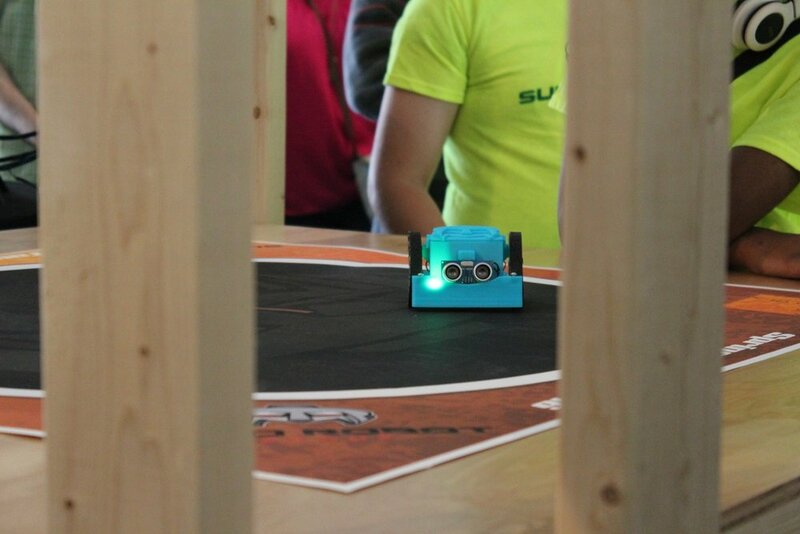 The Sumo Robot League’s educational focus is laying the foundation for eager students who may eventually go into manufacturing and ultimately improve the workforce. Watch our short video here to learn more about the company! AUGUSTA, GEORGIA – 3D printed robots took over TheClubhou.se in Augusta, Georgia. Sumo Robot League was invited to participate in National Robotics Week at Georgia Tech. It was a fun day sharing with middle and high school students all things sumo. Sponsored by Georgia Tech’s Institute for Robotics and Intelligent Machines (IRIM), over 100 students from about the state had a chance to try out the robots via blue tooth and remote control, or in the sumo wrestling ring. Sumo on the West Coast! Sumo visits the West Coast. The team ventures to San Francisco to the National Association of Independent Schools (NAIS) Conference and more than 3800 educators from around the nation had the chance to learn more about how Sumo Robots could benefit their school programs.